Super Savings Item! 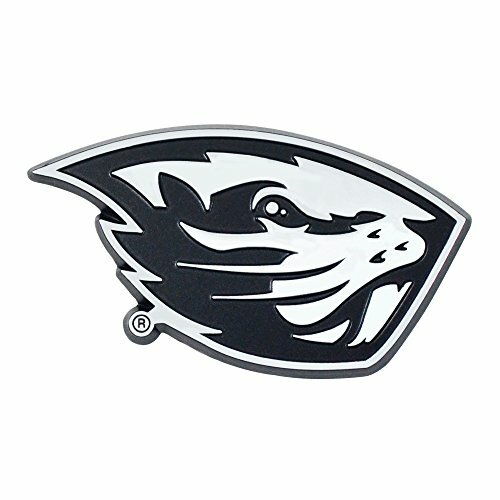 Save 34% on the Fanmats NCAA Oregon State Beavers Oregon State Universitychrome Emblem, Team Color, One Size by Fanmats at Basket Express. MPN: 20632. Hurry! Limited time offer. Offer valid only while supplies last. Are you an extreme sports fan who wants to show off your team pride, even while driving emblems from sports licensing solutions were made for you! Are you an extreme sports fan who wants to show off your team pride, even while driving emblems from sports licensing solutions were made for you! easy to apply on your vehicle, just peel and stick. 3-D molded design. Emblem size is approximately 3" x 3"